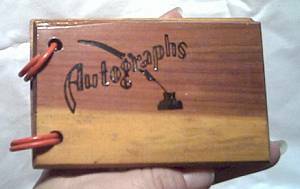 Cedarwood Autograph Book: This sort of thing was very popular in the 40's and 50's, they are still available today. It is stamped made in the Osarks. It has what appears to be the original paper. The papers have a slight stain on top edge. It is in excellent condition. 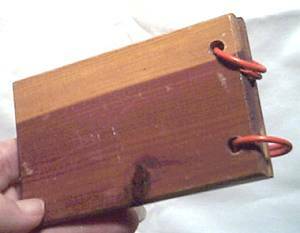 Items Similar To "Souviner/ Osarks Cedarwood Autograph Book"
Gegr 1849 Uhlennhorst souviner plate.